Exploring Archer Mountain Laberynth - 2012/01/02 - Chiyoko & Guy's Photo Site. 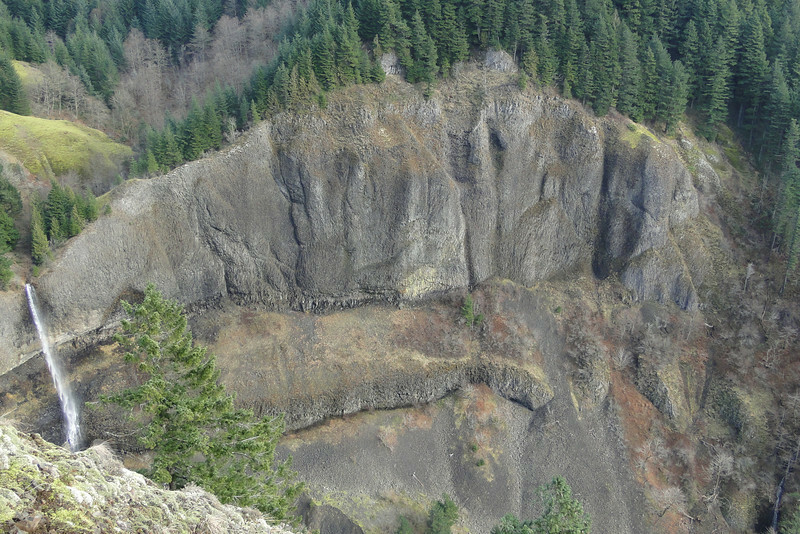 So January 2nd 2012 I set off with Brad from Portland Hikers to explore the Archer Mountain Laberynth! We set off from trailhead at the end of Smith-Cripe road and made our way up the West Side Ridge I believe this is known as the St. Cloud Area. We then made our way over a boulder field & off trail to the Gable Creek Water Trail, this leads you to the Lower Gable Creek Falls. From here we were bushwhacking again to the elusive main Gable Creek Falls. Then it was another bushwhack out & up to regain the West ridge Trail. Next we set off to check out the maze of trails & old roads on the West side of Gable Creek., we found more than we bargained for including a great View Point but did not have enough time to keep going in that direction & so turned around & made our way back East again to the West Side View Points of Archer Falls. Then it was on to the Powerline road to skirt around the back side of Archer Falls & approach it again from the East side. Next on our list was the true summit of Archer Mountain were we found this poem, after this we continued on the same trail to a great viewpoint overlooking the Gorge before descending Archer on a very steep but seemingly old switchback trail on a Tallus Slope. Once at the bottom we crossed another Tallus Field before hitting the Natural Gas Pipeline. Don'smap showed a trail that left the pipeline trail after a short distance but since we were running short on time & light we elected to stay on the pipeline trail all the way to Archer Creek. After crossing the Creek we took the Pipleline road back up to High Valley & then back to the trailhead. All in all 10.5 miles & 4024' of elevation gain, a great day of exploring! The Archers Falls West Side Overlook.